Proper skin care plays an important role in having a healthy, radiant face. Our face is the first thing people see from us and first impressions do count. However, different skin types require a different kind of attention. Asian women may need to follow other skin care routines than Caucasian or Latina women in order to achieve a wonderful complexion. Read on to find some helpful tips regarding Asian skin care and learn how to maintain your skin healthy, smooth and radiant. When it comes to skin care, Asian women may face other issues than those who belong to other ethnicities. Each ethnicity is blessed with different skin characteristics and what is appropriate for one type, may completely be unsuitable for the other. If you are an Asian woman, you may experience some problems that come up from time to time. Every skin is unique and beautiful, so pay attention take care of your precious treasure. Check out the most common concerns below and make sure that you provide your skin with the proper care and attention. Extreme weather changes are frequent, mainly in Asia. This means that you have to provide your skin with an adequate protection against the damages caused by the weather. Hot weather can make your skin oily, due to the excess oil production it triggers. Oily skin is prone to large pores, acne and breakouts and also has a shiny, dull aspect that causes your makeup to work off easily. Skin exfoliation is an absolute must for women with oily skin. Therefore, finding the right product for your skin characteristics is vital for your skin’s health and wonderful aspect. On the other hand, when we are talking about harsh cold, your skin may easily get dry and all these factors wreak havoc on your skin, leaving you with nasty skin irritations. Dry skin cannot retain moisture, therefore it is prone to premature aging and cracking. Take a good care of your skin by opting for products that are specially designed for dry skin, in order to provide it with a proper moisture and hydration. Enlarged pores are also very common with Asian women. Large pores can easily get clogged and infected, leaving you with a coarse skin. Daily exfoliation and regular use of facial cleansers are the best ways to tighten your pores and make them less visible. Now that you have read about the most common problems, let’s see a few tips for how to take a proper care of your skin if you are an Asian woman, in order to get a clear, fresh and radiant complexion. Regardless of the type of your skin, there are some essential things you can do in order to maintain the beautiful aspect of your skin. First of all, wash your face regularly, using a gentle facial wash. Try to stay away from using soap on your face since it can be harmful to your skin, making it dry and flaky. In order to deeply clean your pores and get rid of dead skin cells, use a gentle facial scrub but only once in a week, otherwise it can cause irritations. Another great thing is to use a facial toner, which cleans off all the impurities from the surface of your skin. A properly chosen toner that matches your skin type, will close your pores, helping your skin to absorb the moisturizer. Moisturizing your skin should be a vital part of daily skin care routine. 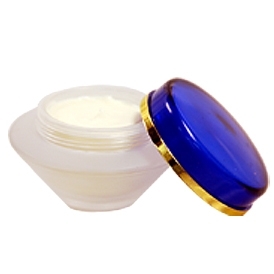 It is one of the most important steps in order to obtain a soft and supple skin. A flawless, healthy skin is firm and elastic. Therefore it is highly important to moisturize your face on a daily basis in order to protect it from getting dry and flaky. Moisturizing your face is essential regardless of the skin type you have, since it maintains the balance of hydration in your skin, protecting it from damaging external factors. Women with oily skin should opt for a water-based fluid moisturizer, while those with normal or dry skin should shop for a cream moisturizer in order to provide their skin with proper moisture. Choose the best moisturizer for your skin characteristics and take a good care of your skin every day in order to maintain your skin clear, healthy and radiant.